Growing fruits and fruit trees is my biggest passion in life. I think the main reason is that I hate cooking so much. Fruit you can eat all day, just as it is, fresh, organic, yummy, juicy and bursting with flavour! 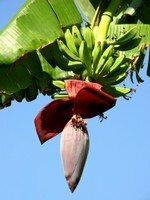 Another reason I love growing tropical fruit is that you can grow so many fruits in the tropics. And it's easy! And they grow like crazy, and all year round. Well, some of them anyway. Fruits like pineapples and guavas, bananas and papayas, barbados cherries and carambolas ... And that are just a few off the top of my head. This page is your guide to all the fruit growing information on the site.